Avast there, ye landlubbers! Talk Like a Pirate Day is here and it's time to prepare for the upcoming barrage of "arrrrs" that will be coming your way. In 2013, some astute businesses used the holiday to build rapport with buccaneers by offering free items. But talking like a pirate one day of the year and passing out freebies isn't enough. You have to think and act like a pirate all year long to produce great marketing for your company. Not sure what we mean? 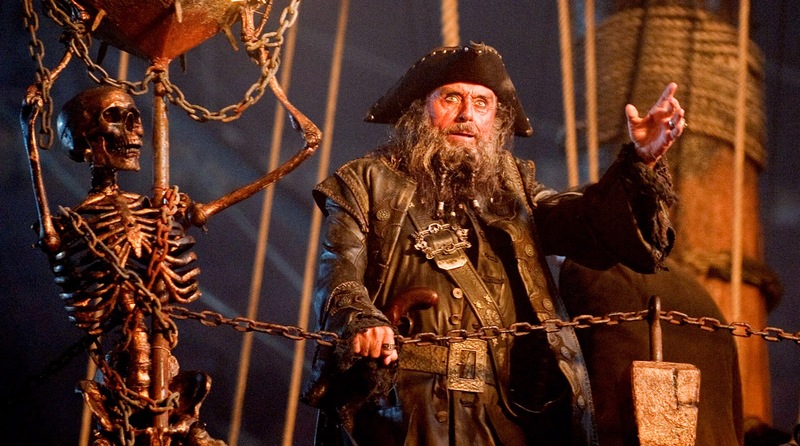 Well, we could make you walk the plank, but instead we'll fill you in on a few marketing lessons we've learned from the most renowned pirates in history. Many considered Blackbeard to be the devil incarnate. Apparently putting lit fuses in your hair has that effect on people. Ships would even surrender without a fight when they faced him. The name Blackbeard has inspired fear for centuries because he knew how to create a strong brand. Providing great customer service is one way to create a lasting brand — and it's safer than using lit fuses — because it builds brand loyalty. If your employees are steadily on the phones, consider using speech-recognition technology to encourage excellent service. It will identify whether or not employees are saying keywords that you specify, so you can address any miscommunication immediately. Bartholomew Roberts, who captured over 400 ships, once said "a merry life and a short one shall be my motto." Make this your motto, too. Well, at least when it comes to your marketing campaigns. Even the best advertisements run their course. Adding a different toll-free number (TFN) to your campaigns will allow you to track the number of new customers each campaign brings in. When an advertisement becomes stale, the decreasing return on investment (ROI) will be a dead giveaway. End it so something better can take its place. Maps have been a huge part of pirate lore since Treasure Island was written. Long John Silver's fictional quest to secure a map and its treasure has inspired countless treasure hunters. Marketers also know the value of a good map, except the treasure they seek is an abundance of new customers. Using TFNs to track your campaigns produces a map showing where calls originate. In other words, X marks the customer. By analyzing the map, you can identify locations with the most prospects and increase geographic segmentation in those areas. Advertising to the right locations will increase your ROI and help you avoid losing money in low-performing regions. Follow the example of these seafaring rogues and your company's marketing will be top-notch.